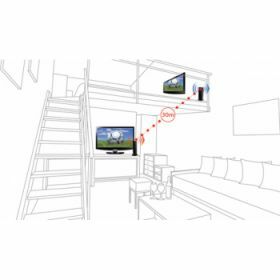 Wireless HDTV all through your house. 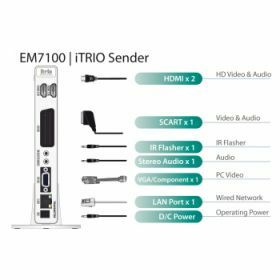 It becomes a possibility with the EM7100 Wireless HDMI set. The transmitter and reciever are a perfect companion for you home cinema experience. Just connect the cable of your media player or Blu-Ray player to the transmitter, and your HDTV to the reciever. Eminent lets you enjoy razor-sharp 1080p video everywhere in your house. Just pick up the remote control and start enjoying your favourite movies or tv-series! The EM7100's transmitter and reciever can be placed up to 30 meters apart. Even when there are walls or ceiling in the way. 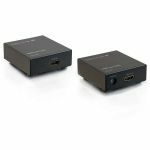 We've also included an infrared function in the EM7100 Wireless HDMI set, so that the remote control of your Media or BluRay-player will keep working wherever the unit is placed. 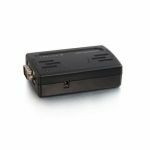 Just point the remote at the EM7100, and it will re-transmit the signals to your devices. You can use the EM7100 to keep all your devices out of sight. 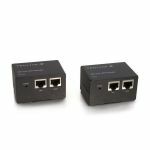 Connect your devices to the EM7100's transmitter unit, and place it anywhere you want. The only thing you place near your HDTV is the reciever unit, which is so small that you could even place it out of sight, behind the tv! 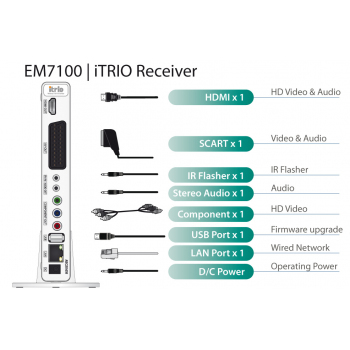 You can connect up to four devices to your EM7100 HDMI transmitter at the same time. The unit has two HDMI ports, one VGA port (for laptop or PC) and also features a classic SCART connector for your VCR or game console. You can just sit back in your chair, and switch between these devices, without walking over to the transmitter, thanks to the included remote control. The EM7100 HDMI set is extremely easy to connect. Just plug in the cables, and you are done. Advanced users will find that the included user manual explains any and all technical matters cleary. The EM7100 HDMI set is fully compatible with all of the Eminent hdMEDIA players. 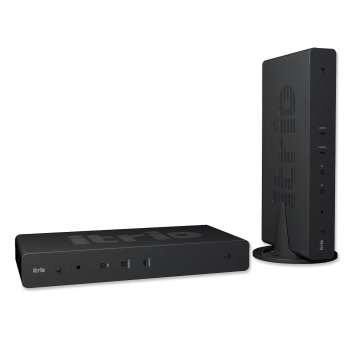 With a hdMEDIA player you can download movies and tv-series, and watch them directly on your HDTV. 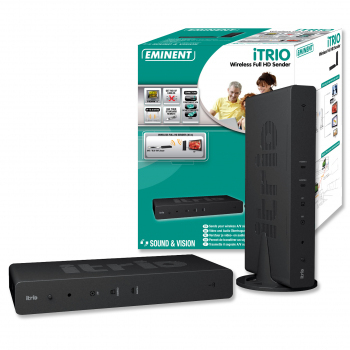 Use the EM7100 HDMI set to connect your hdMEDIA to a HDTV anywhere in your house wirelessly. 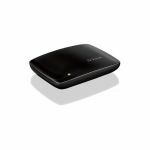 Wireless HDTV everywhere in your house!